I have a few dates booked for workshops in 2013, whether through my own SSBR workshops or through other venues. I wanted to let you know what I have currently going on and where you can find me teaching. 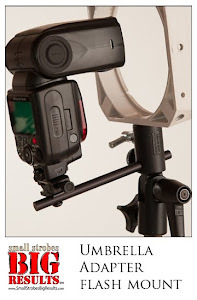 I am offering a Denver SSBR lighting workshop on Feb. 9, 2013. This workshop is only open to 12 participants. For more information and registration click HERE. On February 21-24, 2013 I'll be is San Antonio, TX teaching a special speedlight workshop with my friend Dave Black and Michael Clark for the Popular Photography/ America PHOTO Mentor Series. 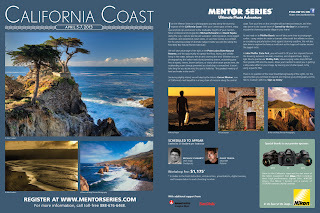 These sell out fast, please check with the Mentor Series for availability. On March 13-16th, 2013 I'll be teaching at The Santa Fe Photographic Workshops. I have been teaching at The Santa Fe Photographic Workshops for the past 5 years. I love teaching here, by far my favorite venue for teaching. Please contact them for registration. On April 5-7th, 2013 I'll be leading a Mentor Series Trek to the beautiful California Coast of the Monterey Bay. I am really looking forward to photographing the beautiful scenery around the Monterey Peninsula. I grew up in California and I’ve spent a lot time in this area. Some of my favorite photographers lived in this area, does Ansel Adams or Edward Weston ring a bell. I'll be teaching with Michael Schwarz, he's a super guy and great photographer. 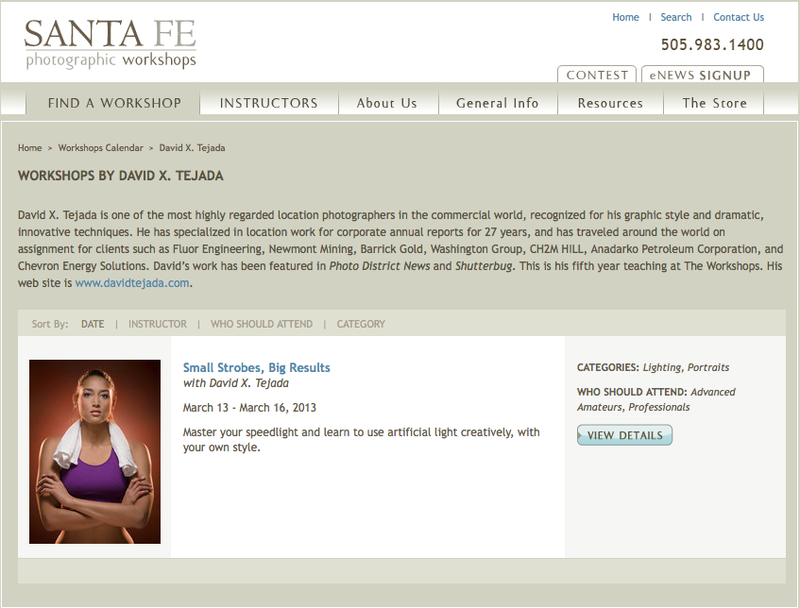 On April 13th I am offering a Denver SSBR lighting workshop. This workshop is open to only 12 participants. For more information and registration click HERE.